The Canyons area is located about half way between Kimball Junction & Historic Park City Main Street. The Canyons area used to be where the "Canyons Ski Resort" was until the ski season of 2015/2016 when Vail connected the two resorts and made it one. After the connection, Vail renamed the Canyons area into "Canyons Village". Owning Real Estate in the Canyons area give you more of a village style living. As the area continues to be developed, there will be more shops, dining, nightlife. The main focus of the area is "walkability". The Canyons Resort Golf Course was just completed and open for play in the summer of 2015. This adds HUGE value to the area as a Year-round resort area. It will continue to thrive all Summer long! Real Estate in the Canyons offers a wide variety of choices. There are townhouse, single family homes, condos for sale. 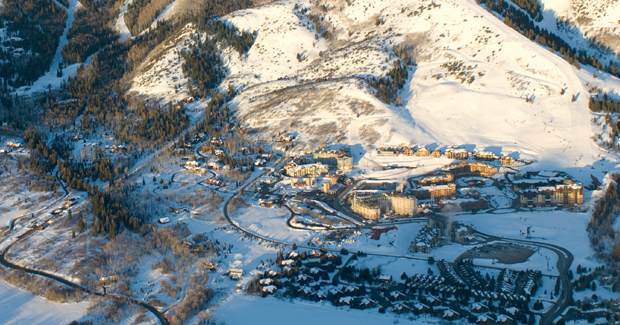 One of the more popular properties at the Canyons Village is the Waldorf Astoria Park City. It is a full service amenity hotel with KILLER ski access. There are other great properties such as: Sundial lodge, Vintage on the Strand, Blackstone Residences, Silverado, Hyatt Park City.